It may seem slower at first if you’re used to the mouse, but it’s worth the investment to take the time and learn these important shortcuts. 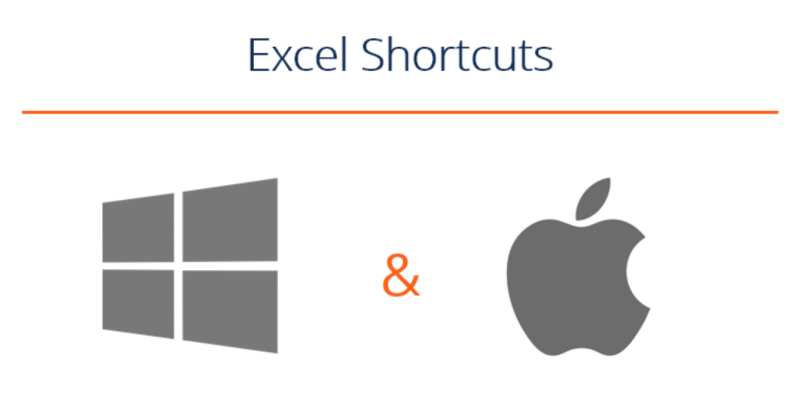 We have provided the top time-saving Excel shortcuts for both a PC and a Mac below. To master these skills, check out CFI’s Free Excel Crash Course. Want to be faster and more productive at building financial models & performing financial analysis? Download this printable cheatsheet with the top Excel shortcuts for both PC and Mac. To be more productive, faster, and more efficient when building financial models or performing financial analysis it’s important to know the main keyboard shortcuts in Excel. These are critical for careers in investment banking, equity research, FP&A, finance, accounting, and more. The first thing you’ll do if you’re hired as an investment banking analyst is take a series of intense Excel training courses. Your mouse will be taken away and you’ll be expected to learn financial modeling with only keyboard shortcuts. If you follow our tips and tricks below you’ll be able to master these shortcuts on Windows or Mac operating systems. 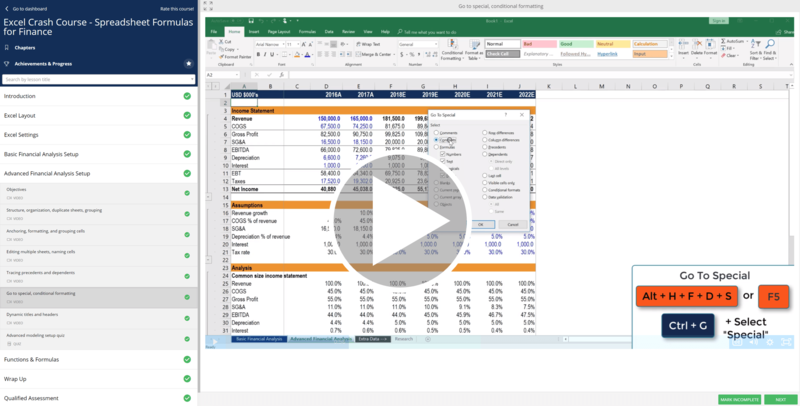 You may also want to check out our section on Excel formulas or the Excel formulas cheat sheetExcel Formulas Cheat SheetCFI's Excel formulas cheat sheet will give you all the most important formulas to perform financial analysis and modeling in Excel spreadsheets. If you want to become a master of Excel financial analysis and an expert on building financial models then you've come to the right place.. Excel is quite robust, meaning there is a lot of different tools that can be utilized within it, and therefore there are many skills one can practice and hone. If you want to learn these keyboard shortcuts with your own personal online instructor, check our CFI’s Free Excel Crash Course! You’ll receive step by step instructions and demonstrations on how to avoid the mouse and only use your keyboard.